Pioneers in the industry, we offer pelton turbine test rig, hydrostatic pressure apparatus, reciprocating pump test rig, centrifugal pump test rig, turbine research test rig and vane pump test rig from India. 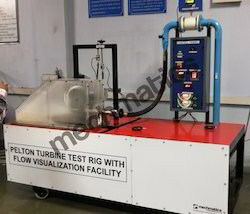 Assisted by the ultra modern manufacturing unit and skilled professionals, we are able to offer a wide range of Pelton Turbine Test Rig. It is manufactured using high grade raw material and innovative technology in compliance with globally accepted norms of quality. The offered range is widely acclaimed in the market, owing to its specific attributes like high efficiency and fine finishing. 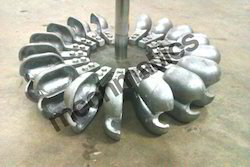 Our Clients can avail the pelton wheel test rig from us within stipulated time period. 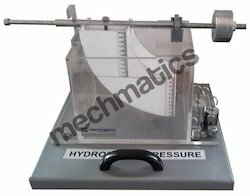 Hydrostatic Pressure Apparatus comprises a transparent measuring container that is filled with water for the experiments A scale on the tank permits the water levels to be read off with precision. The counterbalanced tank swivels on a bearing When the tank angle is set to zero using a lever with appropriate weights, the force acting on the surface can be determined This force is an important design parameter in ship building and hydraulic engineering. We acquaint ourselves as an efficient organization involved in offering an exclusive array of Reciprocating Pump Test Rig. 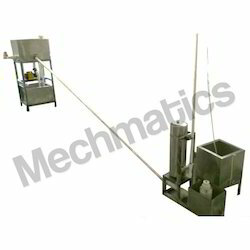 It is used where delivery pressure is quite large and relatively small quantity of liquid is to be handled. 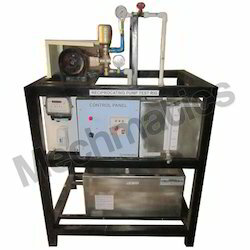 The offered equipment is manufactured in accordance with the set industry norms and exhaustively tested under the rigid vigilance of our skilled quality controllers. The manufactured process is done using standard quality raw material that is procured from the most reliable vendors of the industry with the aid of contemporary techniques. Our precious clients can purchase the offered equipment at reasonable prices from us. 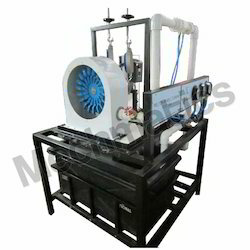 The apparatus aims to study various Reciprocating pump Characteristics such as Head against Flow, Efficiency against Flow, Speed against Flow etc. To accomplish an apex position in the industry, we are dedicated to serve with quality Centrifugal Pump Test Rig. It is widely used to study various centrifugal pump characteristics such as head against flow, efficiency against flow, speed against flow etc. The offered equipment is examined on stringent quality parameters by our quality controllers to ensure a flawless range to deliver. 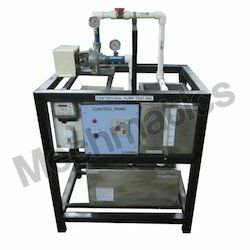 We provide the pump test equipment to our clients at affordable prices within the estimated delivery time. Sump Tank and measuring tank fitted with gauge tube and drain valve. Vacuum gauge to measure suction vacuum. Energy meter to measure input the motor. 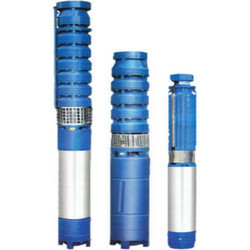 Submersible pumps are made for underwater functioning. It has range of applications from Gardening; irrigation; fountain; Water tanks and borewells.The apparatus aims to study various submersible pump Characteristics such as Head against Flow, Efficiency against Flow, Speed against Flow etc. Burdon Type Gauges to measure line pressure. The electric potential is analogues to the velocity potential. The electric current is analogues to the velocity of flow. The homogenous conductor is analogues to the homogenous fluid. The experimental set up consists of a model of one flow geometry for which the flow net is to be drawn. 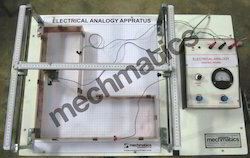 Electronic system is provided with a signal generator and potentiometer circuit probe. In engineering applications, the hydraulic jump frequently appears downstream from spillways or sluice gates where flow velocities are high. In design applications, the engineer is concerned primarily with predicting the occurrence, size, and location of the jump. Supply Head 1 mtr with 25 mm Supply Piping. We are a reputed organization assisted by experienced professionals who enabled us to offer a wide gamut of Hydraulic Ram Apparatus. The offered equipment is rigorously tested on well defined parameters to avoid any such defect at clients end. Being manufactured using standard quality raw material and sophisticated machinery well installed at our manufacturing unit, the offered equipment is made available at market leading prices. 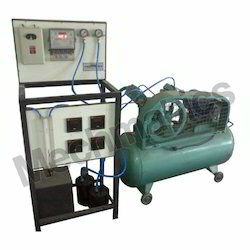 Empowered by our vast industrial experience and dexterous workmanship, we have gained our customers acclamation for supplying qualitative Reciprocating Air Compressor Test Rig. In order to deliver defect free range at clients end, the offered equipment is thoroughly examined on well defined parameters post manufacturing procedure. The air compressor test rig is manufactured using standard quality components under the rigid surveillance of our professionals. It is made available to our valued client’s at the most affordable price. Pressure gauges at outlet of the both stages. 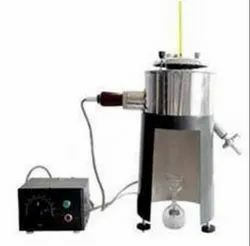 Redwood viscometer is used for the determination of redwood viscosity and which can be converted to kinematic viscosity also. 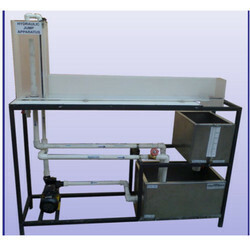 It is also used for observing the effect of temperature on viscosity by plotting graph. This Apparatus is used to visualize streamline fields for flows around drag bodies. The streamlines are displayed in color by injecting a dye. Sources and sinks are generated via water connections in the bottom of the experimental plate. The streamlines can be clearly observed on the Perspex plate during flow around and flow through. The water flow rate and the quantity of dye injected can be adjusted by valves. Custom build models can also be ordered as per requirement. The apparatus consists of a cylindrical acrylic vessel. Water is fed through a nozzle and discharged vertically to strike a target carried on a stem which extends through the cover. Force of the jet is measured by the simple calculating moments about fixed fulcrum. Theoretically obtained forces are compared with practically obtained forces through moments. Lobe pumps are used in a variety of industries including food, pulp, and paper, chemical, food, beverage, pharmaceutical, and biotechnology. Lobe pumps are popular in diverse industries because they offer superb sanitary qualities, high efficiency, and reliability. The apparatus aims to study various Lobe Pump Characteristics such as Head against Flow, Efficiency against Flow, Speed against Flow etc. 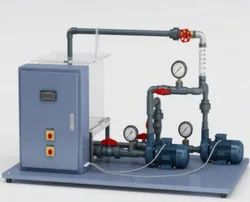 The setup comprises of two centrifugal pumps assembly with interconnecting pipe works. 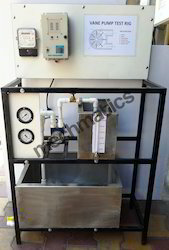 It is installed with necessary pressure gauges and flowmeter for pump performance study. 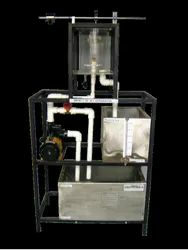 This unit is mounted on a support plate which can be used in a stand-alone operation. This is a customized product as per research requirement (interms of dimension, features, and display). Please contact our sales representative.